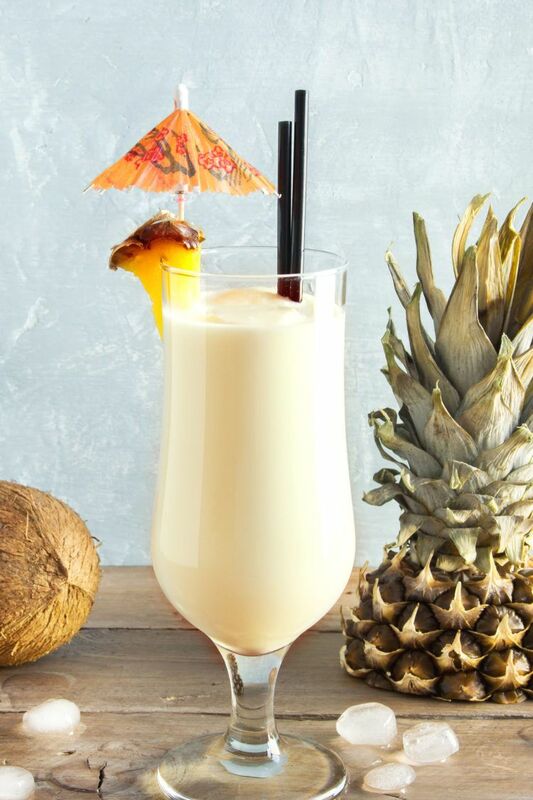 The Pina Colada recipe is one everybody should know. It’s a summertime classic that deserves more respect than it gets. It may be sweet and it may be palatable to people who don’t drink much or are just starting, but it’s a wonderful treat for seasoned cocktail lovers, too. 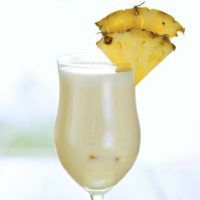 The original recipe was probably very simple: one part white rum, one part coconut cream and three parts pineapple juice, and it’s delicious. But over time, that recipe evolved. This version adds heavy cream and a dash of Angostura Bitters. Those ingredients affect the texture and enhance the flavor without changing the overall profile. The cream makes the whole drink even richer and more like a smoothie. And that dash of bitters is just enough to bring out the other flavors in stark relief. Angostura bitters are never about adding much flavor on their own. It’s all about contrasting with the others. The reason this drink’s popularity has endured for so wrong is simply that it’s delicious. The flavors are all about the coconut and pineapple, with the rum in the background. Some cocktail snobs turn up their noses at this drink. It’s unapologetically sweet and tropical and made with ingredients that weren’t all fresh squeezed from the wings of organic angels. But that’s why it works. It’s not a high maintenance drink. It’s just simple and tasty, and easy to make, and easy to love. It doesn’t need top shelf ingredients. Fresh squeezed pineapple juice is terrific, but a good bottled pineapple juice will do just fine. For the coconut cream, the bartender’s standard – Coco Lopez – is perfect. And you definitely don’t need a special rum. 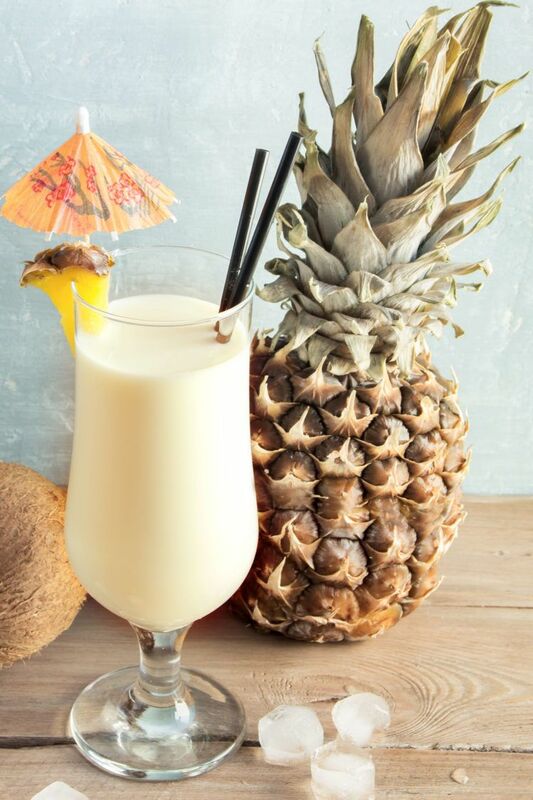 Barcardi’s Superior White and Black rums are perfect for the pina colada recipe. 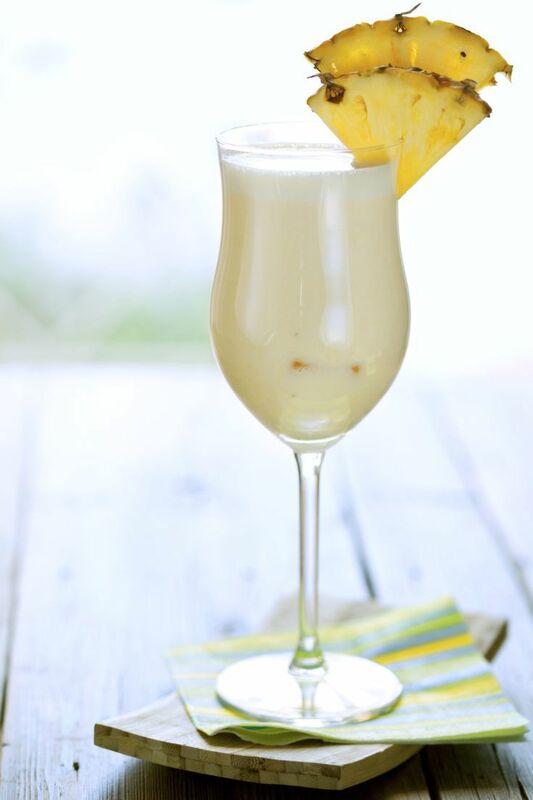 You can play around with your pina colada recipe if you want to. Try using a pineapple flavored rum to amp up the pineapple flavor. Or try a coconut flavored rum to amp up the coconut flavor. Captain Morgan’s Loconut is a fantastic choice. But be careful about substituting anything for the cream of coconut. You might be tempted to try fresh coconut milk, but you’ll find it’s thinner, more watery, and less sweet. And a lot of the other “cream of coconut” products are unsweetened, which would throw off the balance of sweetness in this drink. If you use one of them, you’ll probably need to add a little simple syrup to taste. This is a great drink for parties, especially if you have non-drinkers among your guests, because you can just make it without the rum and it’s equally delicious. In fact, it’s easier to make in bulk than drink by drink. You just put all the ingredients in the blender and blend until it’s smooth. This recipe is for one drink, but to make two, just double your ingredients. If you’re filling a pitcher that can hold 5 or 6 drinks, just multiply the ingredients by the right number. You can read more about mixing multiple drinks here. And the nice thing with the Pina Colada is that you can mix up a pitcher or two in advance and let guests serve themselves. It makes the work of the host or hostess so easy. This particular recipe contains a good bit of rum – two and a half ounces, to be specific. That makes it a rather strong drink. But it’s a long drink, filled with fruit juice and rich coconut cream, so the alcohol flavor isn’t very strong. That’s why it’s a popular choice for people who don’t drink very often. 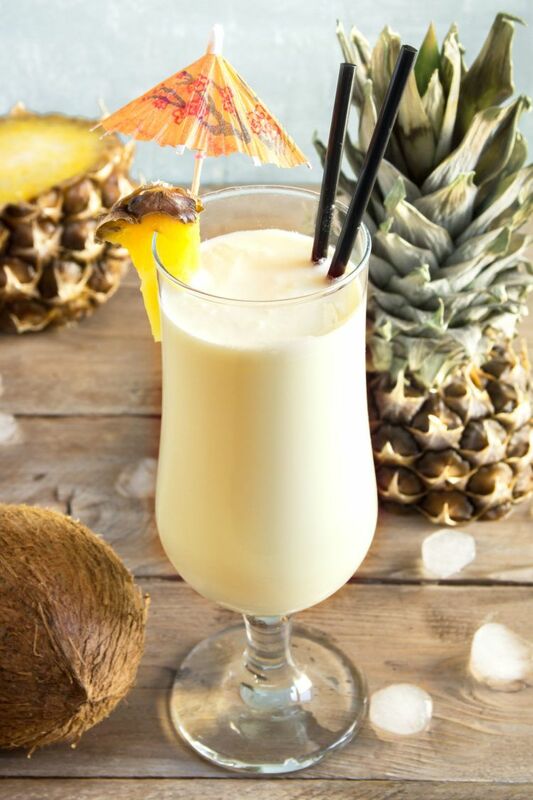 Enjoy a Pina Colada at your next party. It also makes a great dessert drink after dinner or lunch, or anytime you want a light sweet snack. 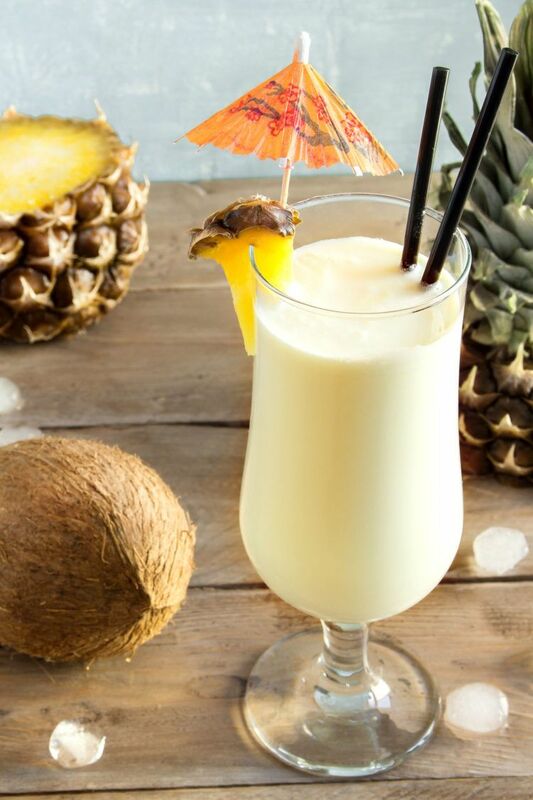 The Pina Colada is a delicious tropical treat that tastes like pineapple and coconut. If you blend it, the texture is like a smoothie. Over ice, it's rich and thick. This particular recipe adds some special touches to enhance the original recipe. Put everything in a blender with ice. Blend for about 15 seconds. Pour it into a hurricane glass. Garnish with a slice of pineapple and/or maraschino cherry. I think I’ve tried just about every recipe for this drink. With this one, I didn’t think the heavy cream added much but I did like the bitters. That part is a keeper!